Comfortable to wear For optimum comfort, the microfibre torso of the TRAIL RUNNING SHIRT is 100% seamless, lightweight and very soft. Its short collar without stretch knit ensures the comfort and protection of the neck. Made of extremely pliable fibre (only one layer), it doesn’t constrict and puts no pressure on the muscles of the back of the neck, the upper trapezius or shoulders. The silicone grip over the shoulders: - stops backpack straps from slipping - reduces the impact, tension and fatigue caused by the backpack on the shoul- ders and upper trapezius. The sleeves are light and flexible to allow a great freedom of movement. The lack of hems and stretch knits avoids the sensation of tension, pressure or tightness. While the volume of the biceps increases due to effort, the sleeve follows the ergonomics of the body perfectly without putting pressure or com- pressing muscle regardless of the athlete’s morphology. - absorption of impact and micro-muscular massage to increase comfort and muscle revitalization. Its unique weave enhances air circulation, enabling a perfect balance between the inside and outside of the shirt, so that body temperature is stable with no sudden surges or drops. It offers genuine protection in winter against the cold and in summer against the heat - it will become your second skin. The water-repellent fibre evacuates perspiration without absorption, even when excessive. This allows the user to feel fresh and light, keeps the skin dry and avoids chafing. The targeted layout of mesh fibres over the shoulders, front and back of the TRAIL RUNNING SHIRT enables perfect evacuation of body heat and moisture, allowing you to remain dry whatever the external temperature and the duration of the effort. The special fibre ensures effective protection from bacteria and naturally pre- vents unpleasant odours and irritations from developing. The effect remains even after consistent washing. and thereby boost breathing and improve oxygenation during effort as well as after to reduce recovery times. 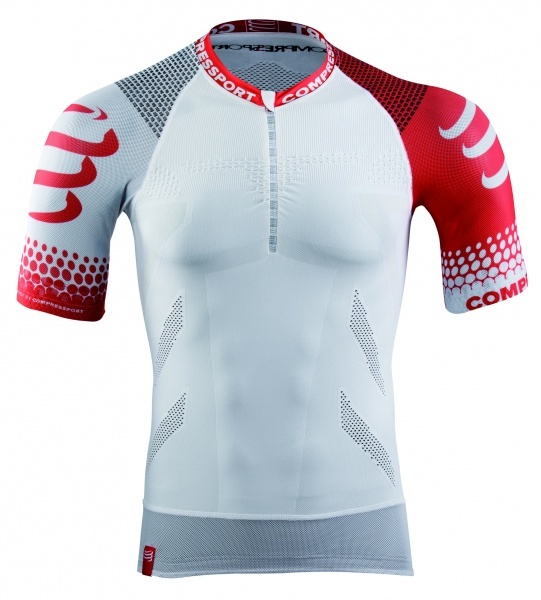 Top quality production With absolute quality in mind, theCOMPRESSPORT® TRAIL RUNNING SHIRT was designed and developed in Switzerland and uses European fibres, created by sports clothing specialists. 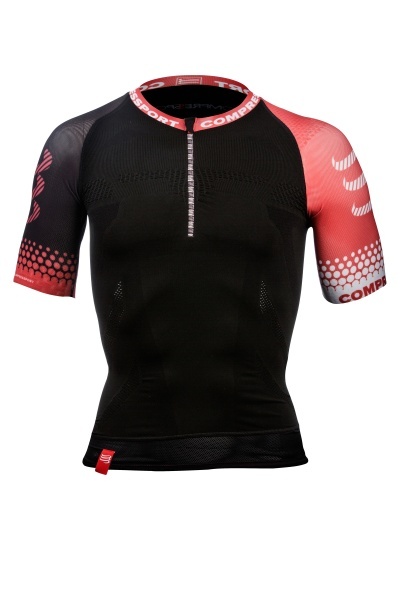 Like all COMPRESSPORT® products, the TRAIL RUNNING SHIRTbenefits from a 2-year replacement guarantee and users can get their money back if they are not satisfied within 30 days of purchase.